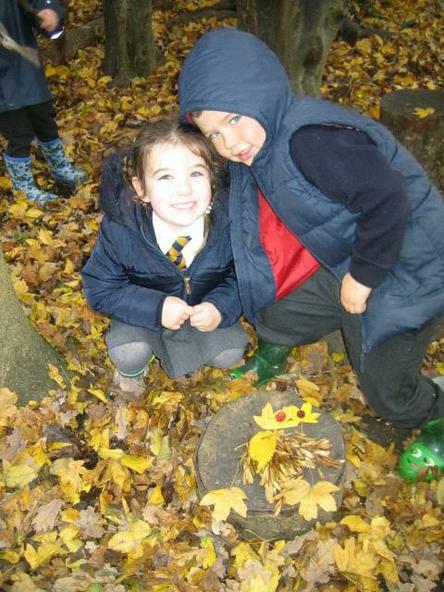 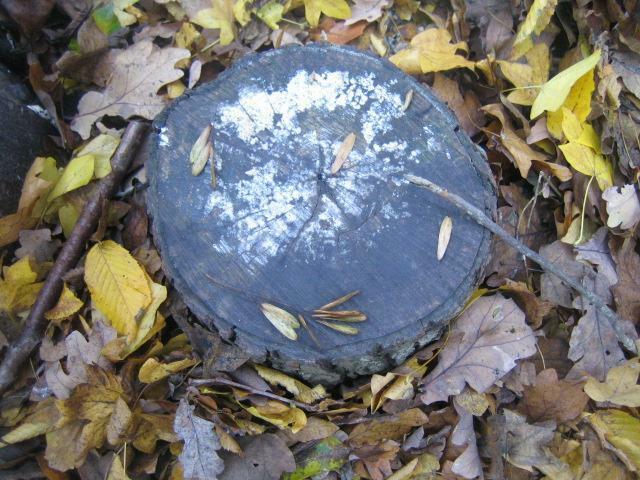 In Reception we don't have Forest School as our class always has access to playing and learning outside, however we will be doing forest school type activities regularly on Thursday afternoons. 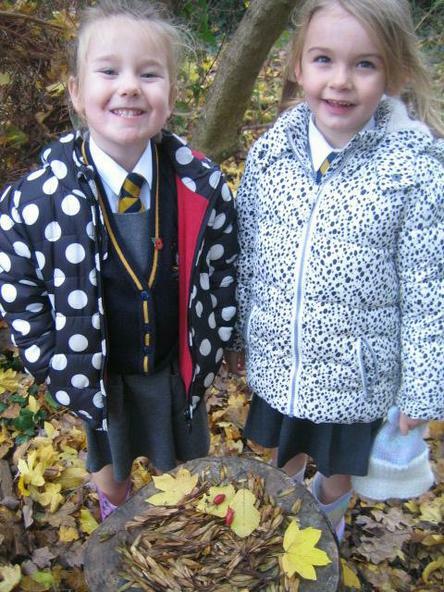 Please make sure your child comes to school dressed warmly in their school uniform every Thursday - tights for the girls, or trousers, vests might be a good idea and hats! 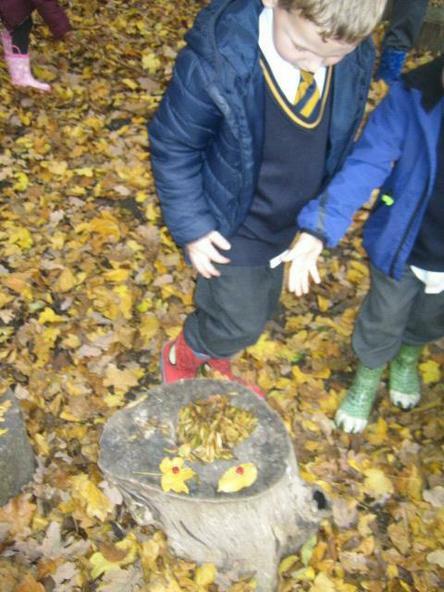 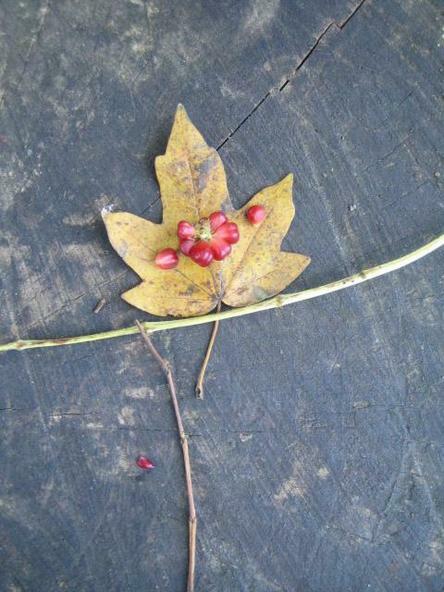 Dr Collins, who teaches Forest School at St Jude's, had set up a little red flag around some toadstools. 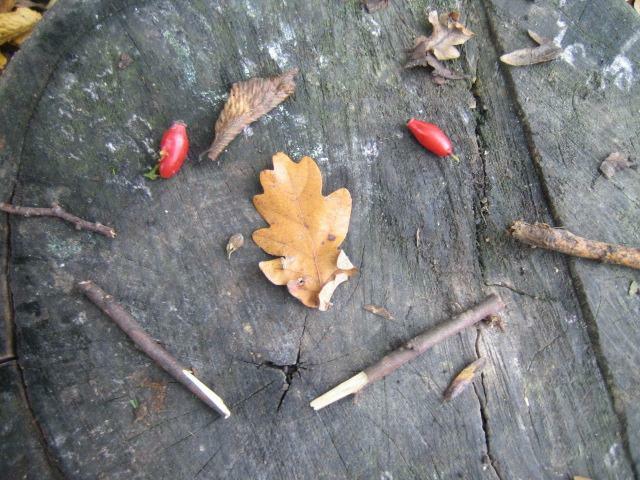 We wondered why the flags were red and guessed it must mean danger. 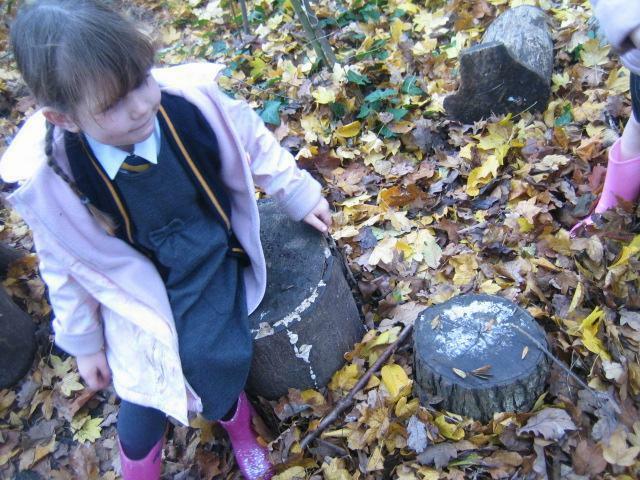 We talked about toadstools being poisonous and why it's important to look but not touch them. 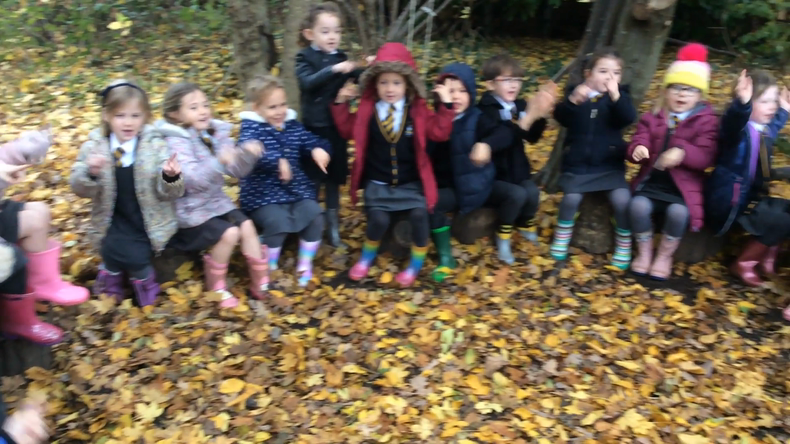 We crunched around in the leaves and then sat down to sing some autumn songs and the leaves! 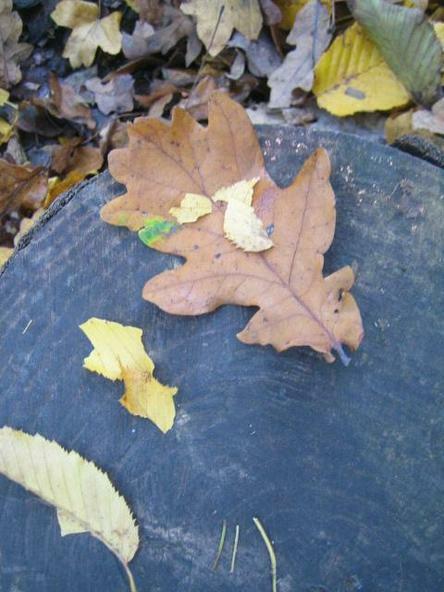 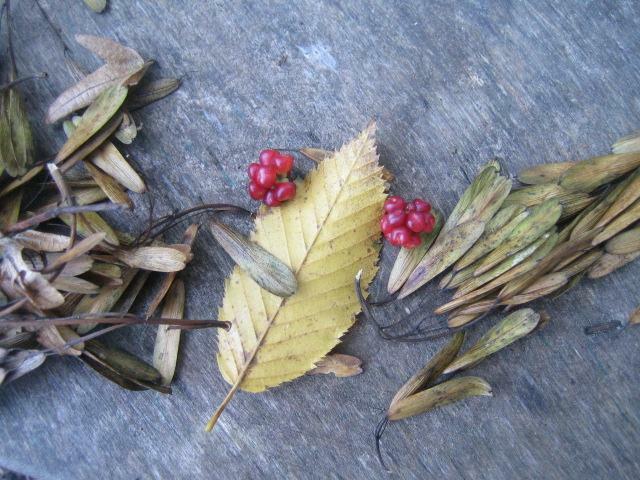 The children have been loving playing with the leaves and different autumn finds, and they have been looking at lots of information books about it too. 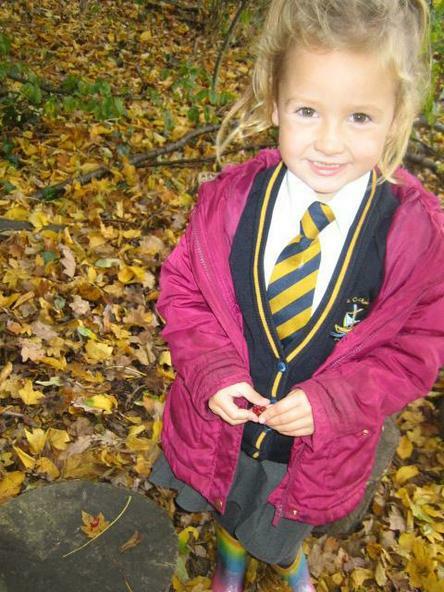 Imogen spotted a page all about hibernating animals and loves the page about dormice. 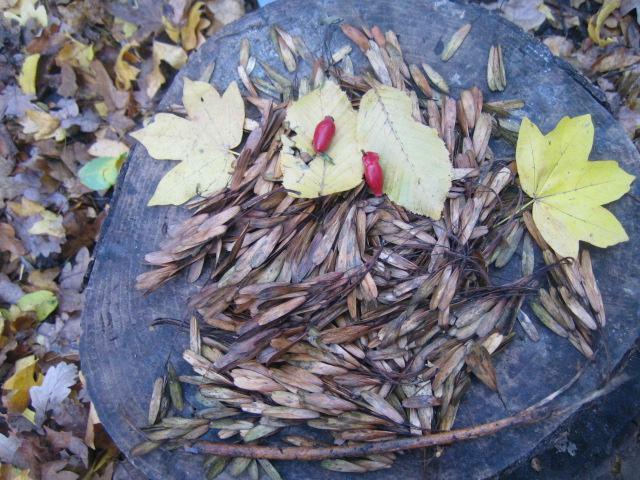 We have talked all about animals that hibernate and animals that are nocturnal. 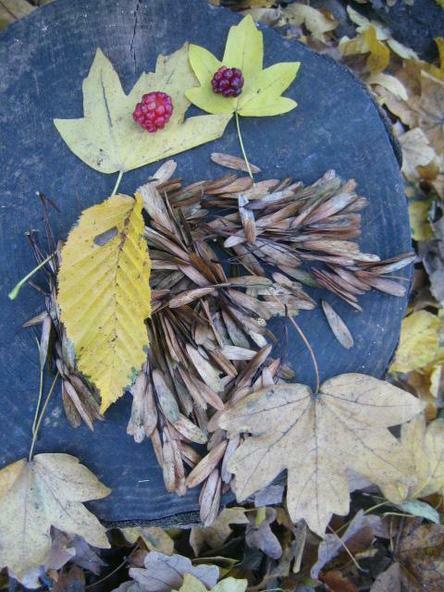 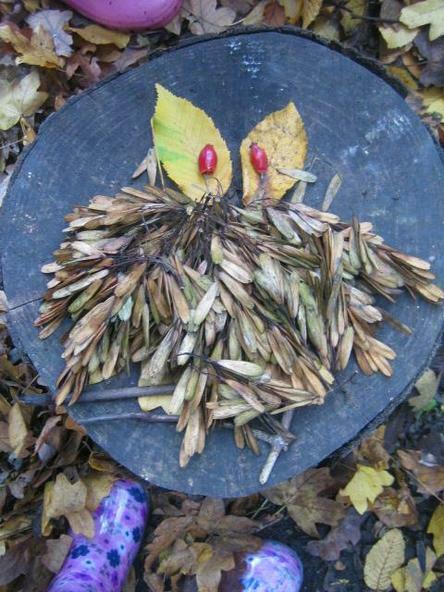 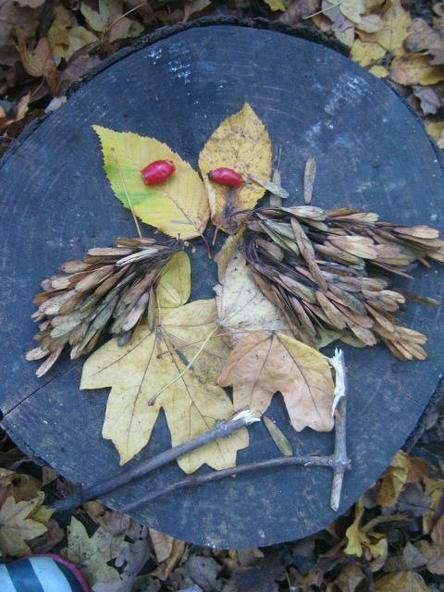 We sat down to read "Owl Babies" in the circle and just look at what the children then created - aren't they amazing? 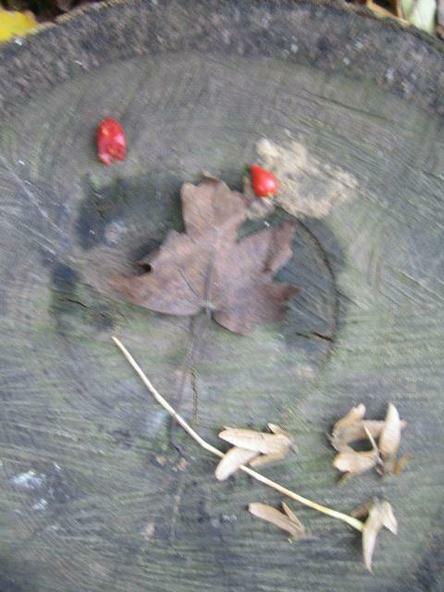 We carried on with our walk along the wooded path until we spotted a squirrel high up in the tree. 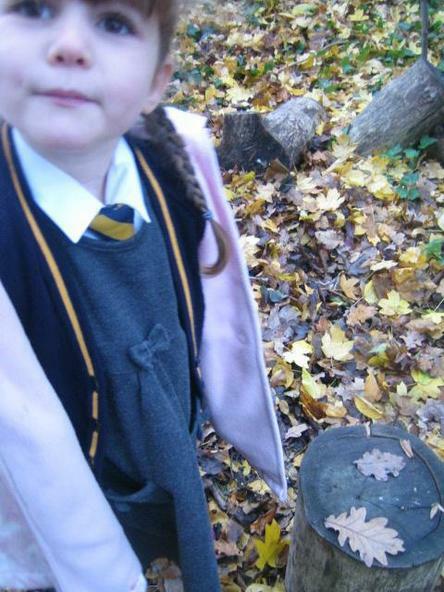 The children hunted round for as many different leaves as they could find, looking for lots of different colours and sizes. 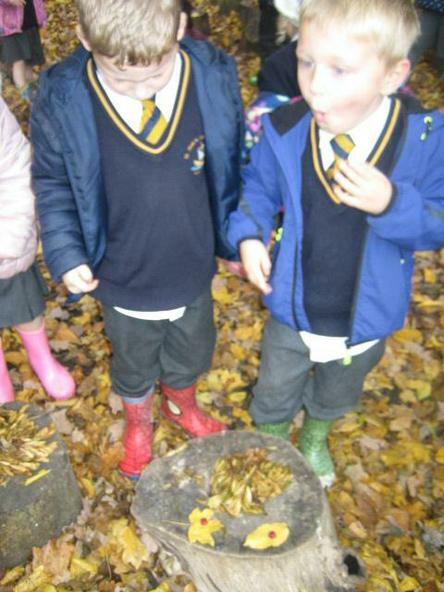 Two of the children decided to hunt for four leaf clovers, just like Benjamin Bunny they told me! 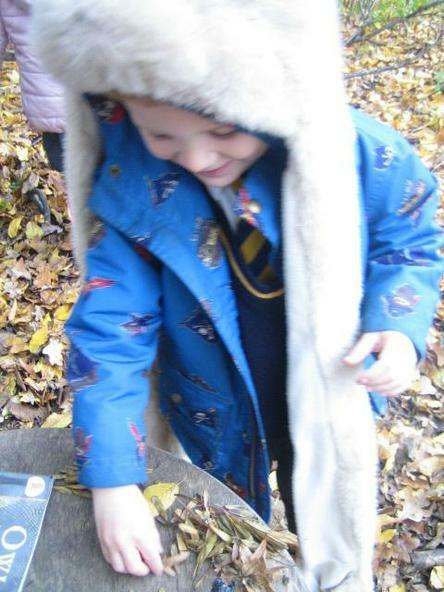 After that we went inside and warmed up with hot chocolate - we'd had a great morning!